The sarcomatoid cell type is the rarest form of mesothelioma, accounting for 10-20% of all pleural mesothelioma diagnoses and only 4 percent of all peritoneal cases. Sarcomatoid cells metastasize faster than other mesothelioma cell types, causing tumors to appear in other areas of the body. Because of this, sarcomatoid mesothelioma is the least treatable cell type, though new treatments are leading to longer life expectancies. Sarcomatoid cells are spindle-shaped and have enlarged, elongated nuclei. These cells sometimes have more than one nucleus and are harder to distinguish from healthy tissue. Sarcomatoid cells do not form in regular patterns like other cell types. Instead, they proliferate through soft tissue where the cells are much more difficult to find and remove. Symptoms of sarcomatoid mesothelioma can sometimes mimic those caused by other illnesses, which can create challenges for doctors during the diagnostic process. This is one of the reasons why early detection is so vital for mesothelioma patients since the disease is far less treatable in later stages. A sarcomatoid mesothelioma diagnosis is difficult to identify because of how infrequently patients develop this cell type. Doctors are not as familiar with sarcomatoid mesothelioma and cells can look similar to benign tissue under the microscope. In order for doctors to get a definitive diagnosis after initial imaging scans, they will need to perform a fluid or tissue biopsy. 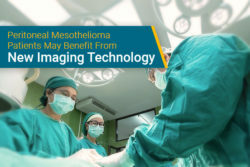 Since sarcomatoid mesothelioma is difficult to identify and the concentration of malignant cells in the biopsy might be too low to detect, the initial microscopic analysis might be inconclusive. If the biopsy is adequate, pathologists will use what is called immunohistochemistry to accurately define the cell type. This process uses tissue staining that makes proteins in the cell samples more recognizable, giving pathologists a way to more precisely diagnose patients with this rare form of mesothelioma. 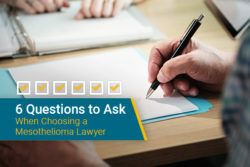 It is vital for patients diagnosed with mesothelioma, particularly with less common cell types, to seek a second opinion. 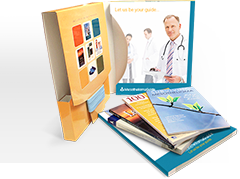 Having a separate specialist analyze the results of diagnostic tests can make all the difference when planning the best treatment regimen for a patient. The long latency period of the disease, along with its aggressive behavior once the tumors begin to form, can cause doctors who are less experienced in identifying mesothelioma to diagnose patients with other more common illnesses. 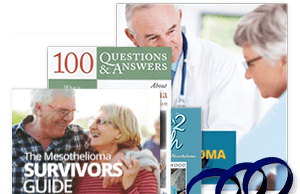 Although surgery, chemotherapy, and radiation are treatment options most often used with cancer patients, surgery and even chemotherapy for sarcomatoid mesothelioma can be ineffective. The scattered growth pattern of sarcomatoid mesothelioma makes it extremely difficult to remove surgically. Because the cells don’t clump together and form tumors like epithelioid mesothelioma, a surgical procedure itself can spread malignant cells to healthy tissue. This is why there are strict criteria for surgical candidates based on the level of metastasis around the point of origin. With studies and clinical trials currently underway, researchers hope to develop improved treatment methods through immunotherapy, virotherapy, and other novel treatments that will increase survival rates in the future. 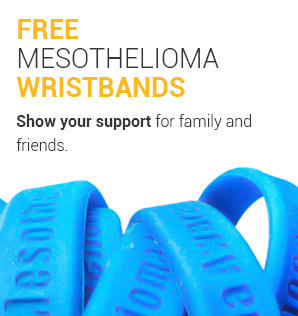 Get connected with a mesothelioma specialist who can help improve your survival rate. The prognosis for sarcomatoid mesothelioma is not as positive as other cell types. 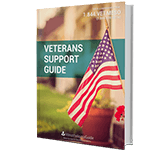 The median survival rate for patients without treatment is less than 6 months. If the disease is diagnosed at an early stage and if the patient meets the surgical and treatment criteria then their postoperative life expectancy increases to an average of 11.2 months. 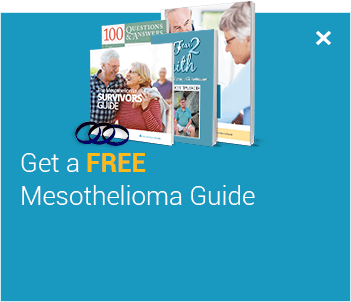 There are patients diagnosed with sarcomatoid mesothelioma who have significantly outlived their life expectancy after receiving treatment. Catching the disease at the earliest possible stage is essential to achieving an optimistic prognosis. 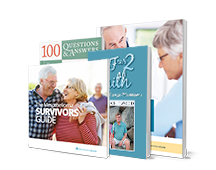 Learn how survivors beat the odds in our free Mesothelioma Survivor’s Guide. Pathology of malignant pleural mesothelioma. UpToDate. Retrieved from: https://www.uptodate.com/contents/pathology-of-malignant-pleural-mesothelioma?search=sarcomatoid%20mesothelioma&source=search_result&selectedTitle=2~4&usage_type=default&display_rank=2. Accessed: 9/4/18. Sarcomatoid mesothelioma: a clinical-pathological correlation of 326 cases. Modern Pathology (2010). Retrieved from: https://www.nature.com/articles/modpathol2009180.pdf. Accessed: 9/4/18. Sarcomatoid Mesothelioma in a Patient with Asbestos Exposure. The Medicine Forum. Retrieved from: https://jdc.jefferson.edu/cgi/viewcontent.cgi?referer=&httpsredir=1&article=1227&context=tmf. Accessed: 9/4/18. Is There a Role for Cancer-Directed Surgery in Early-Stage Sarcomatoid or Biphasic Mesothelioma?. U.S. National Library of Medicine National Institutes of Health. Retrieved from: https://www.ncbi.nlm.nih.gov/pubmed/30278171. Accessed: 1/4/19. Survival by Histologic Subtype of Malignant Pleural Mesothelioma and the Impact of Surgical Resection on Overall Survival. 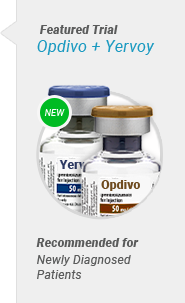 U.S. National Library of Medicine National Institutes of Health. Retrieved from: https://www.ncbi.nlm.nih.gov/pubmed/30224273. Accessed: 1/4/19. Pleura Mesothelial tumors Mesothelioma - sarcomatoid. Pathology Outlines. Retrieved from: http://www.pathologyoutlines.com/topic/pleuramesotheliomasarcomatoid.html. Accessed: 1/4/19. Last Edited: February 5, 2019.